It’s worrisome and heartbreaking when a dog goes missing. The good news is that a 2012 survey revealed that 93% of missing dogs were returned safely to their homes (Weiss, 2012). Owners can help increase the likelihood of recovering their missing dog by providing the dog with identification. Municipal tags can identify the owner quickly. 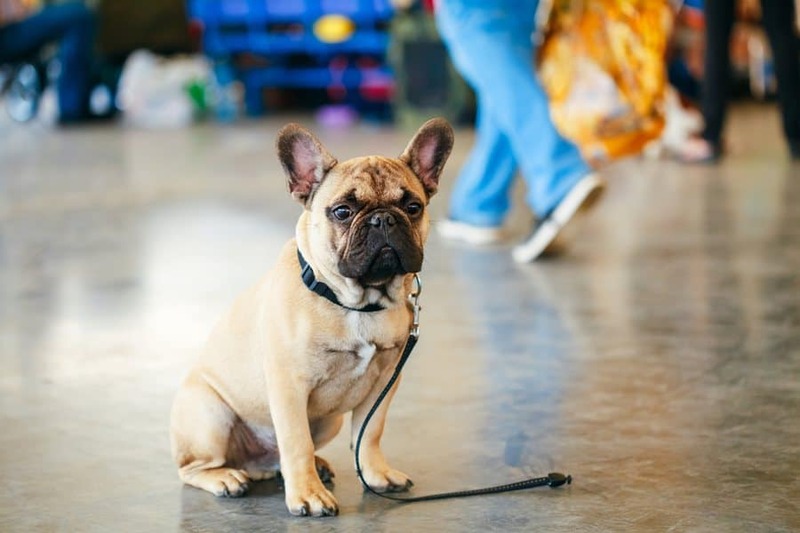 Having a tag with the owner’s contact information (including cell numbers) and an emergency contact allows anyone finding your dog to contact you quickly. I order tags with print in the largest font available so that the tag is easily read and I keep extra tags on hand so that I can quickly replace a tag that is missing or one that has become hard to read through wear. GPS trackers are available also. Some require payment of a monthly fee and regular changes of batteries. There are several sites online with reviews and consumer comments. One of several things to consider is whether you would be better off with a system that uses GPS or one that is on radio frequency. This depends on whether there is good cell coverage in your area. If your dog slips or loses his collar, then other forms of identification will be useful. Ear tattoos for identification are often done after a spay or neuter procedure. While the coding of a tattoo varies within different countries, in Canada, generally the first letter represents the year the animal was tattooed. The second letter represents the clinic where the animal was tattooed, while the numbers represent an identifying client number used by the clinic or rescue organization. Microchipping is a popular method of identifying a pet. The microchip is inserted into the animal between the shoulder blades. A microchip is a small, electronic chip enclosed in a glass cylinder that is about the same size as a grain of rice. The microchip itself does not have a battery—it is activated by a scanner that is passed over the area, and the radio-waves put out by the scanner activate the chip. The chip transmits the identification number to the scanner, which displays the number on the screen. 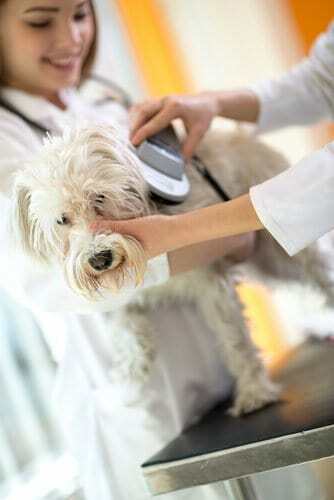 The microchip itself is also called a transponder (AVMA, 2013). The identification number is registered with the microchip company so the owner can be located. Drawbacks are that not all scanners can access every companies’ chip information, there is not one centralized data base, and some companies won’t list owners from other countries. For example, one of my dogs is from the US and has a microchip from a US company. I live in Canada and I was not able to transfer ownership with this company as I don’t live in the US but I could register the chip in my name with another company. Whatever forms of identification you choose for your pet, please make sure that your contact information is up to date so you can be reached easily. Try to avoid putting the dog in situations where the dog may attempt to flee and for nervous dogs, using two leashes and two forms of attachment (like a harness and a collar) help keep the dog safe. Many pets are afraid of fireworks so be careful around holidays when fireworks are used. 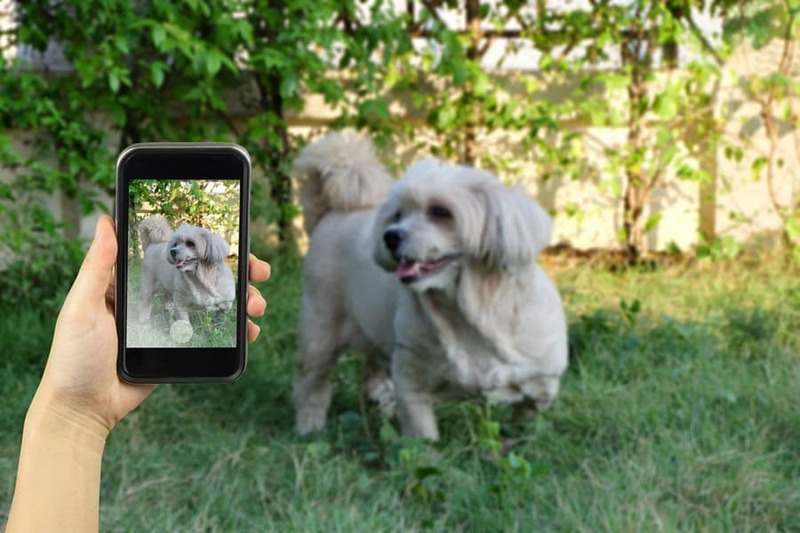 Have clear up- to- date pictures of your pet in case he goes missing. In the event your dog is lost, physically check all the shelters and impound facilities, rather than phoning them. A family in Texas reportedly went to court to regain the custody of their German Shepherd who had been listed as a Malinois on the local animal control facilities’ website so the owners did not realize their missing dog was there. The dog was then sent to a rescue organization after the impound period expired (Runder, 2016). Dogs can be mislabelled by shelter staff as a certain breed or type. For example, a study on breed identification by shelter workers revealed that one in three dogs lacking DNA for pit bull heritage breeds were labeled pit bull-type dogs by at least one staff member (Olson, et al., 2015). Posts on social media quickly get the information out on your missing pet. Some dogs are extremely frightened when lost and won’t come to people (sometimes not even the owner) so I recommend asking people to message the owner or search coordinator with sightings rather than posting sightings on the social media platform. This helps avoid situations where many well-meaning people attend an area where there has been a reported sighting and inadvertently frighten the missing dog away from the area or they disturb the area making things difficult for a tracking dog to locate the missing dog. Posters quickly get the message out to the public. The most effective posters are large and framed in brightly colored poster paper to attract people’s attention. Keep the wording simple and concise so people can easily read the most important information. 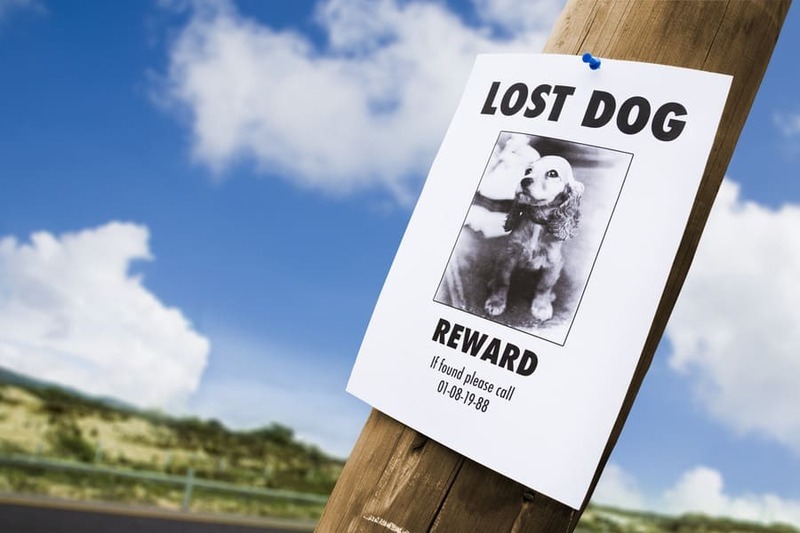 For example, a picture with the words “missing” and a contact number will convey to people that the pictured dog is lost and how to reach the owners. If the dog has been seen in an area but has not been captured, putting trail cameras in the area and leaving food out for the missing dog will keep the dog in the area and allow time to place a trap. The trap should be closely monitored. There are professional pet recovery companies who will manage the search, set up cameras and traps and often have search dogs trained to search for different species of animals. For a list of recovery specialists and tips for owners who have a missing pet please visit http://www.missingpetpartnership.org or do an online search. Jane Bowers has been training dogs for over two decades. She teaches people to train their dogs in group and private training courses and has a keen interest in assisting dogs with behavioral issues. 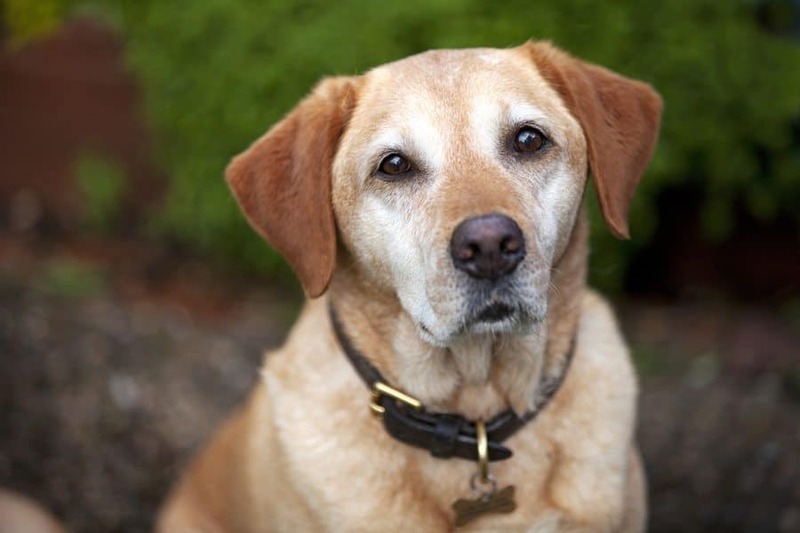 Jane has a monthly newspaper column on dog related topics and was a former host of a live call in TV show on animals. She is a strong advocate of force free humane training methods for all animals. Jane has a degree in psychology and is certified as a dog trainer through the Certification Council of Professional Pet Dog Trainers and as a behavior consultant through the International Association of Behavior Consultants and through the Association of Animal Behavior Professionals. 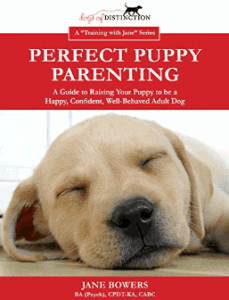 Jane is the author of the book “Perfect Puppy Parenting” and the content creator of the online course “Assessing and Interpreting Dog Behavior” a course for law enforcement personnel and others who meet unfamiliar dogs in the course of their duties. Her website is www.dogsofdistinction.com.